Since the tape attached to the bumper spoiler weakly peeled off, I bought this product and repasted it. As I read the explanation from reaching it, there was something like a door visor exclusively written, but when I try to paste it is a lot of results. This review is about item#40386893. With double-sided tape used for reuse of side visor Although I was using 1.6 mm, the thickness varies depending on the shape There was a time when it was not enough, I found 2.0mm and bought it. Strength is perfect and there is plenty of thickness, so safe construction It became possible to do. The adhesive strength of the double-faced tape of the genuine door visor was lowered and it was peeled off and pasted again. It was equivalent to a genuine double-sided tape and the adhesive strength was very strong and I was able to repast very well. I still have plenty of them but I let you repeat purchase with a pretty favorable spare. I think that it is thick and strongly adhered and it is suitable for equipment installation inside the room. This review is about item#40386902. It firmly sticks, it is strong. I can trust you very much. 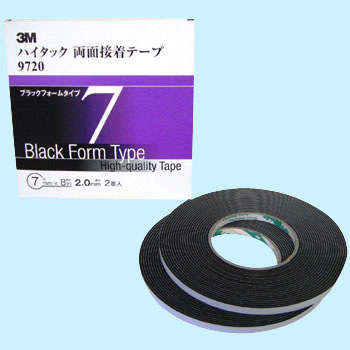 It is exactly the double sided tape itself that is used. Workability and adhesive strength are also very good. Attach inner and outer seals and protective materials. Adhesion is strong, especially useful for pasting parts of cars. This review is about item#40386884.